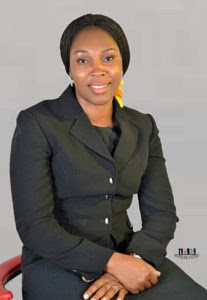 Mrs. Ekanem Ekuma, CEO Dreamwalk International Ltd. is on a mission to use local materials to create products of international standards. Ekuma started her business with N1000 only. She started with a dish washer and today, she has eight products to her business name. She boasts of Dream Care floor cleaner, dish washer, hand wash, hand sanitiser, glass cleaner, car wash, laundry detergent and toilet bowl cleaner. The CEO told Inspire her inspiring business story and what it takes to be a successful entrepreneur. I used to be a banker. But at some point, I became frustrated with my life and job. I thought I could do something better by starting a business. I attended a Poverty Alleviation Skill Acquisition Training that lasted three weeks. During that time, I learnt to make the regular road side liquid soap. But I told myself that I can bring my education into the business and make something better out of it. After lectures, I would Google the chemicals mentioned in class as well as their uses and how they can be combined to produce different home products. When I was able to discover what each one does within the local formulation, I was able to vary it to get something better. My first outing was a flop. I wanted to do something big. I started with dish washer, I made containers for my products and it cost me almost a million naira. But all that money went down the drain because the containers were not right. The products were okay but I didn’t understand the market. I went in big and lost big. I started again with the floor cleaner and this time, I took N1000 and told myself that if my investment is small, then my loss would be small. I took N1000 and I bought small chemicals and ten small bottles for my product. I came back and I mixed my floor cleaner. By then, I was neck deep in depression because things were not working out well. I was frustrated and wondered why I left my job for an uncertain future as a business woman. But that time, I made something that worked. I sold them and took the money back to the market. The floor cleaner was the birth of all my eight products. From the N1000 I invested, I made N1500 gain. I grew from there. I got back into making dish washer. I researched a lot. I made so many mistakes trying to make a good dish washer. My house was filled with chemicals and smells of chemicals. I lost money mixing chemicals. But I continued till I got it right. It has been five years since I started my business. My products have evolved. How did you get your business registered? I started at the back of our house then and from the money and the business made, I rented a small shop where I paid N6000 a month. I went to NAFDAC to get approval for my business. When they came to inspect my shop, they told me what I had wasn’t standard space. They outlined all the conditions I must meet for them to register my business which included potable water, large space, fenced environment. The list was long but I was determined to do this. After a year, my neighbour moved and I begged the landlord to allow me take her shop so as to expand my space. I was able to do some fencing and expanded my space. NAFDAC finally gave me approval. It took me almost three years to get NAFDAC approval. All our machines are locally fabricated. Our chemicals are locally sourced. My aim is to use locally made products to create products of international standards. What other help did you get building your business? What lessons did you learn starting your business? You need to start small. When you start small, the losses are small. Don’t try to be different from the rest without understanding the market first. Creating unique products is great when you have made a name for yourself. When you are nobody, look like somebody until you have entered the market successfully. You have to be ‘stupidly stubborn’. Stay in the market no matter what the market does to you. There are so many pitfalls, but just stay there. With time, you will make it. There were people who laughed at us initially but now, they have come back to be part of our success story. Try to build a good foundation. In my former factory, we had a well water source but NAFDAC didn’t want products made with well water. I didn’t want to start on a faulty foundation. So, I went to water board for solution because there was no water on that street. I spent money extending pipes of water to my factory. But as soon as I drew the water from five streets away, the pipes were cut because of road construction. I lost money trying to do the right thing but it didn’t stop me from getting NAFDAC approval. They saw through my sincerity of purpose. Aspiring entrepreneurs should start on a clean slate, no lies and no shortcuts. Be proud of what you do. The only thing one should be ashamed of is begging and stealing. I tell people everywhere I go that I make soap. I don’t look down on myself. I don’t feel ashamed doing it because it is the work of my hands. I get my satisfaction from people buying and using my products. The feeling is priceless. Be your own first staff. What your business cannot afford, it is not ready for you. I was the only staff when I started. I painted my first factory. I couldn’t afford to pay workers then. You shouldn’t feel too big to do anything that would build your business. When you become successful, all the sacrifices won’t matter anymore. Financial discipline is also very important. Don’t dip your hands into your business money. We have an online store where people place orders. If you are buying from our online store, you have to buy a certain amount of products especially if you are not in Lagos. Also, we have distributors who buy from us wholesale and sell at market price. There are also people who market on commission basis. Were there times you felt like giving up? Yes, I felt like that many times. I have cried so many times building this business. That water issue was everything we had worked for in a year and it all went down the drain because of road construction. It broke my heart many times. I spent half a million naira drawing that water to my factory. I have been laughed at many times when I went to market with some of my products. Those times, I cried. It felt like I made a mistake going into business. Some distributors also absconded with my money after selling some products. Where do you see your business in another five years? Dream Care would have become a household name. We want to be in every home. We don’t want Nigerians to miss foreign products that are expensive. We want to replace foreign products at minimal costs. Why are your products edible? I am conscious of toxicity because I make household products and children are exposed to them. I make my products with vinegar, baking soda and citric acid and table salt. Follow your dream. Give it all that you have. Your business is your life. Nurture your business like a child. Don’t put responsibilities on your business. Let the business grow. Put back what is making into it. Build your business while you make money from another source that will feed you and meet your family’s needs.